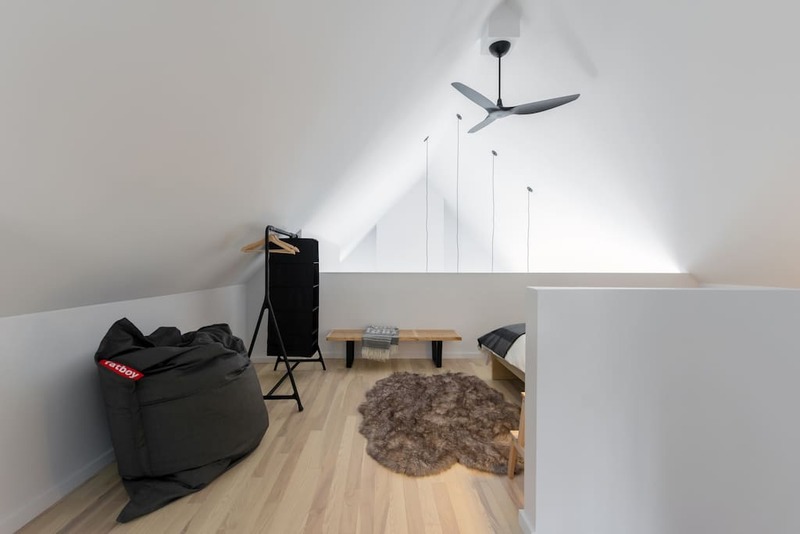 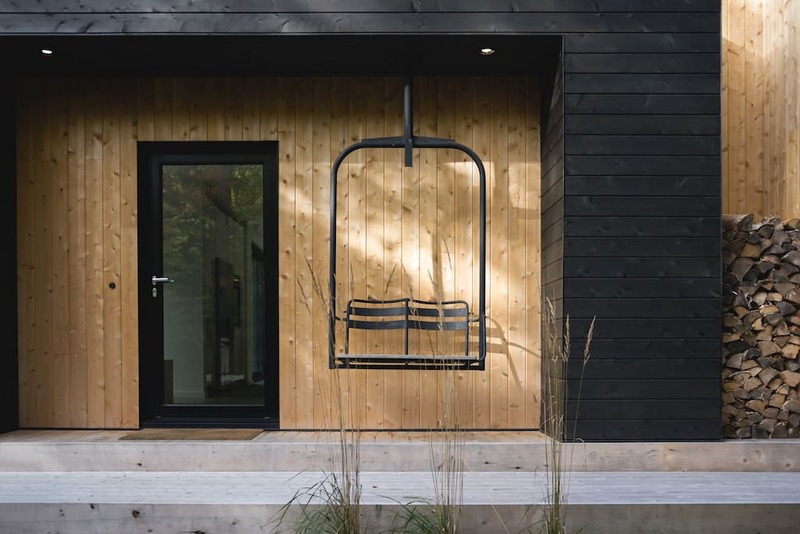 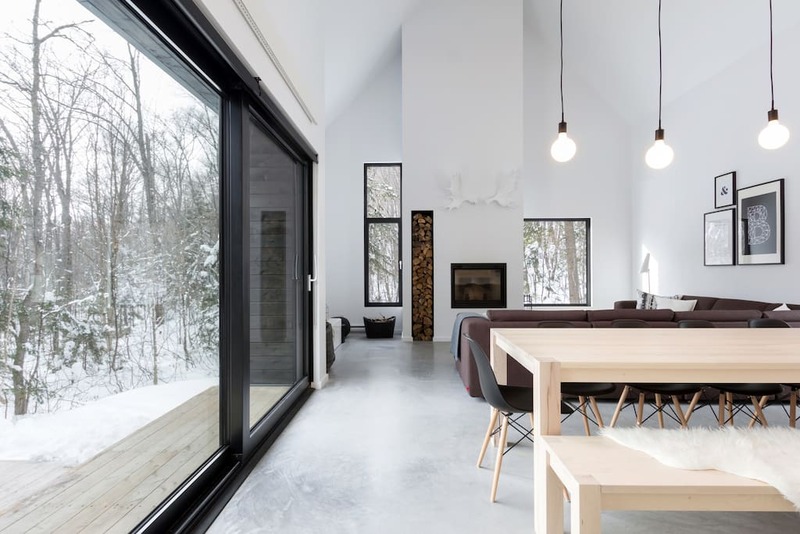 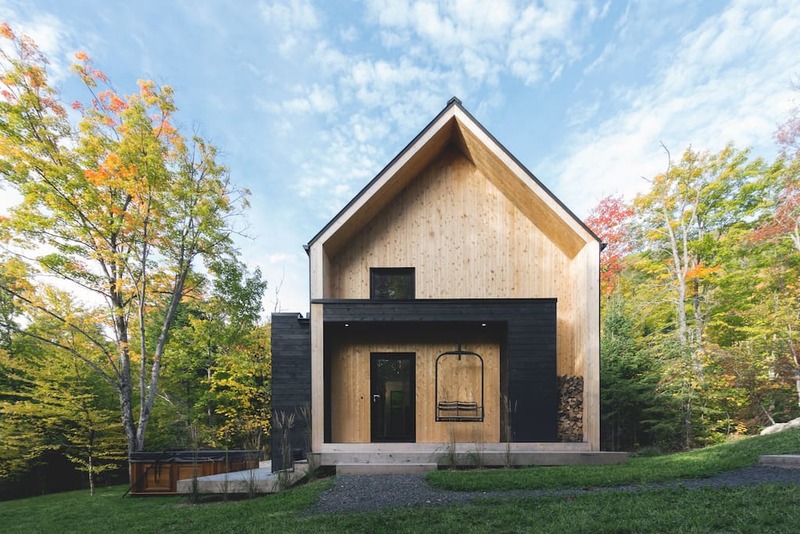 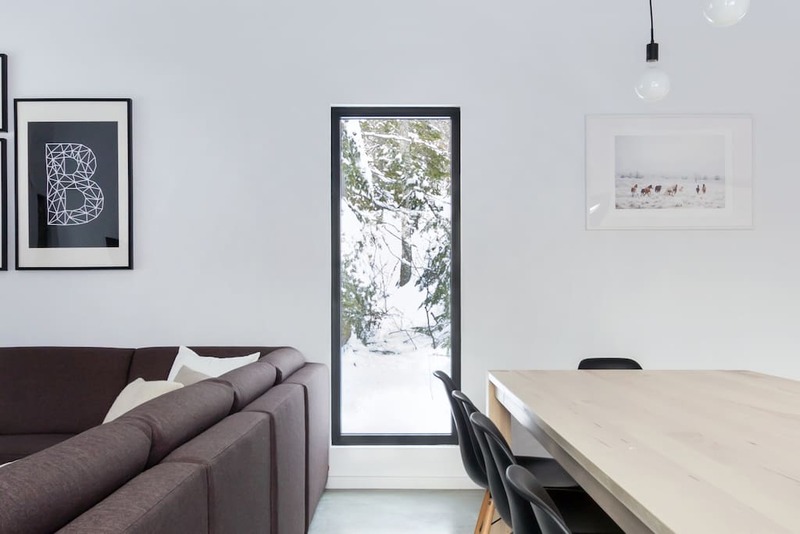 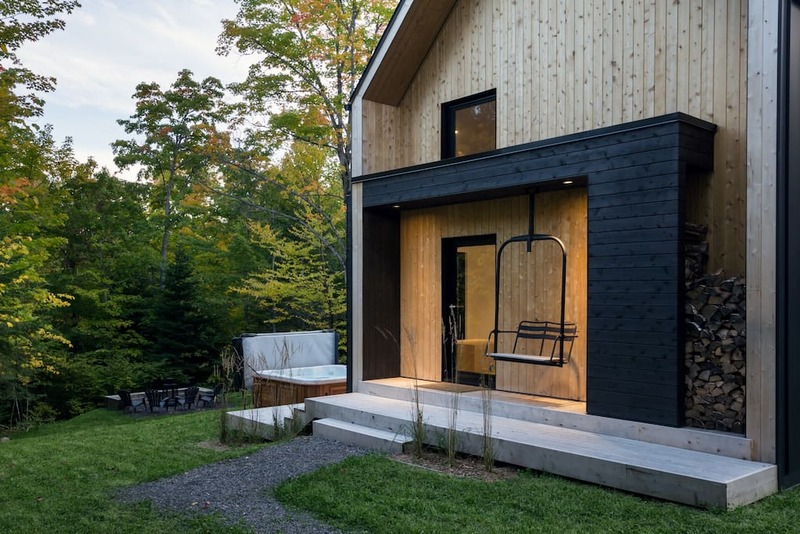 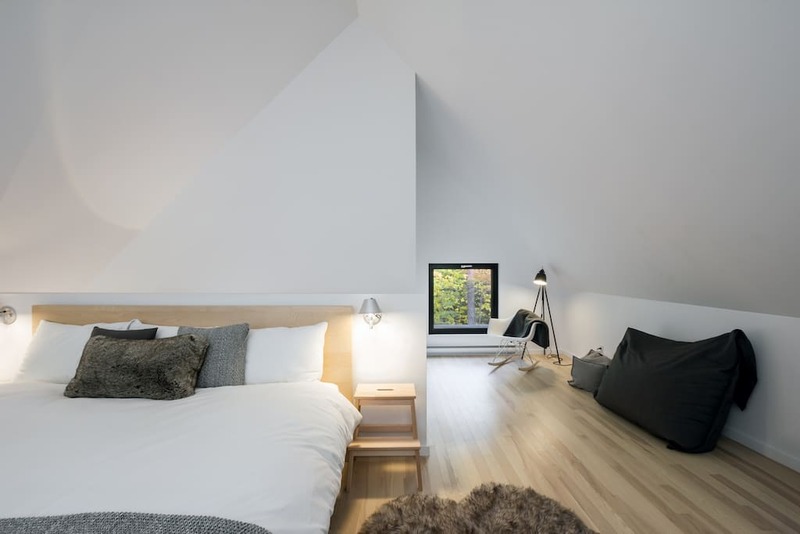 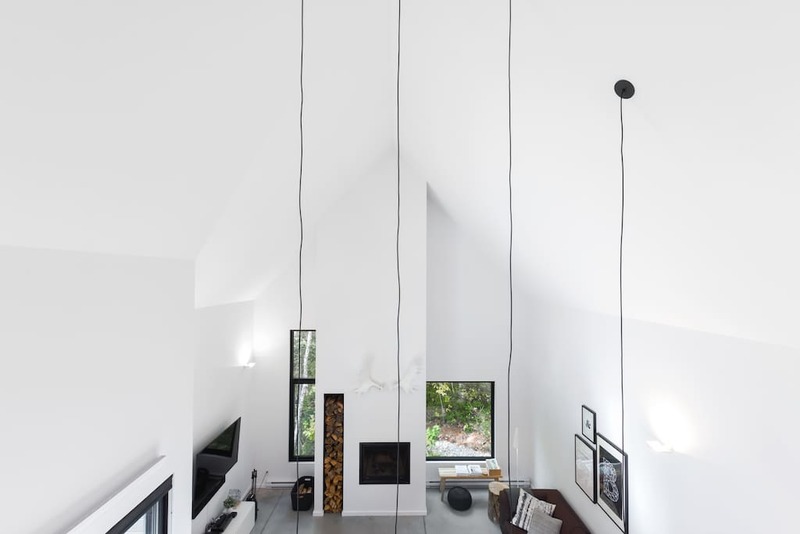 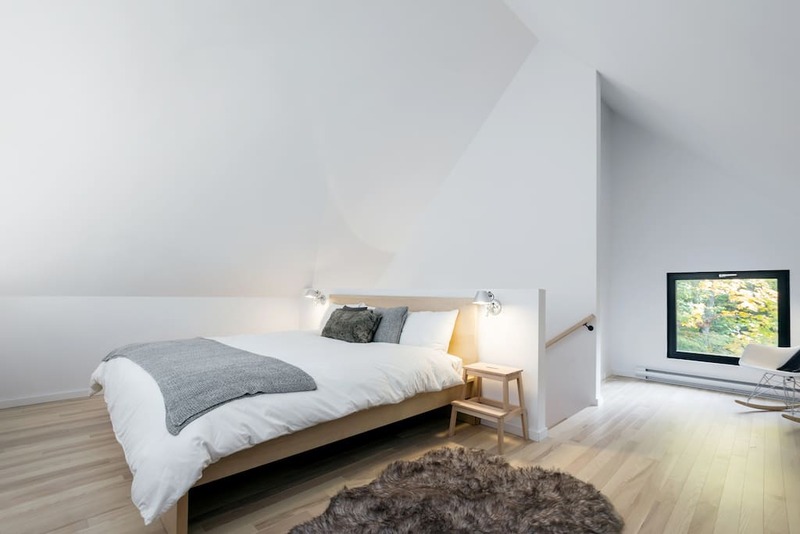 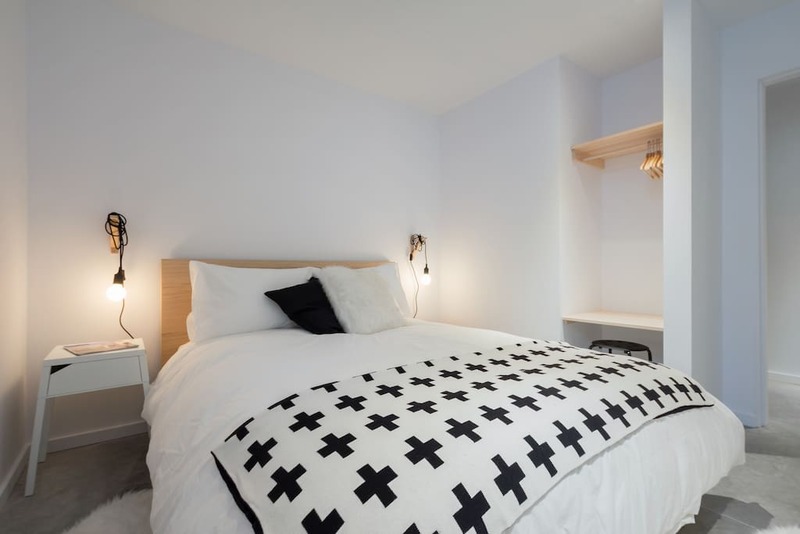 This perfectly minimalist Canadian retreat is available for rent on Airbnb! 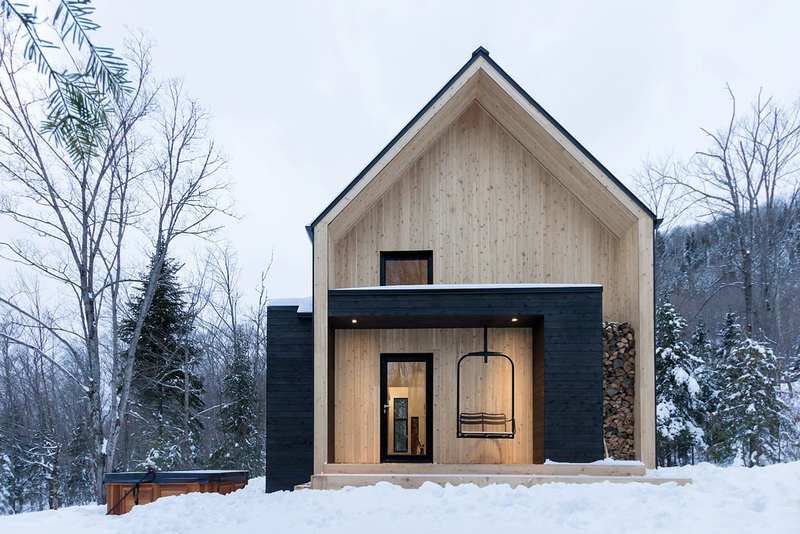 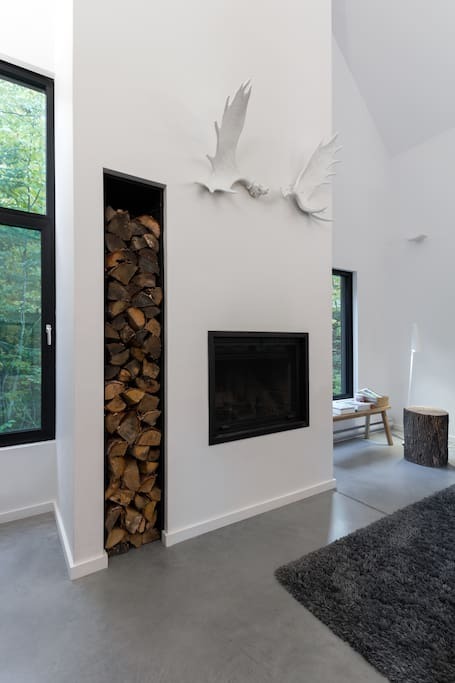 Located in Charlevoix, Canada, the charming snowy villa is only 10 minutes away from Le Massif de Charlevoix ski resort. 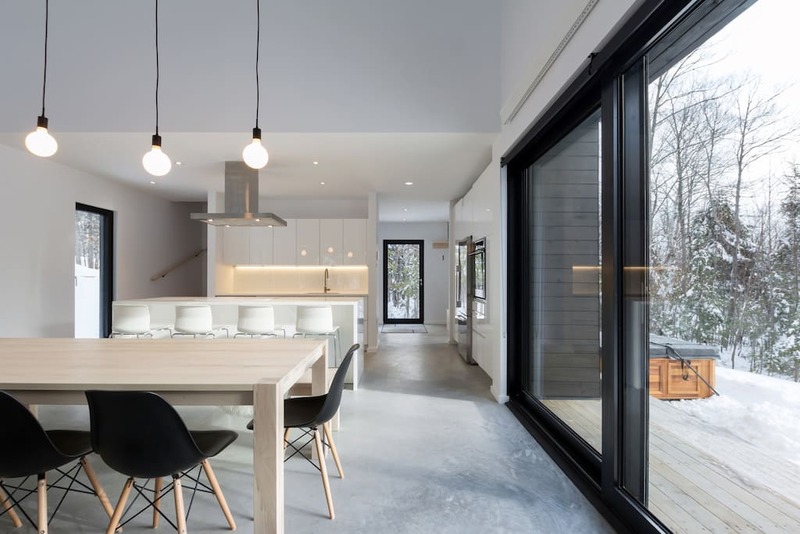 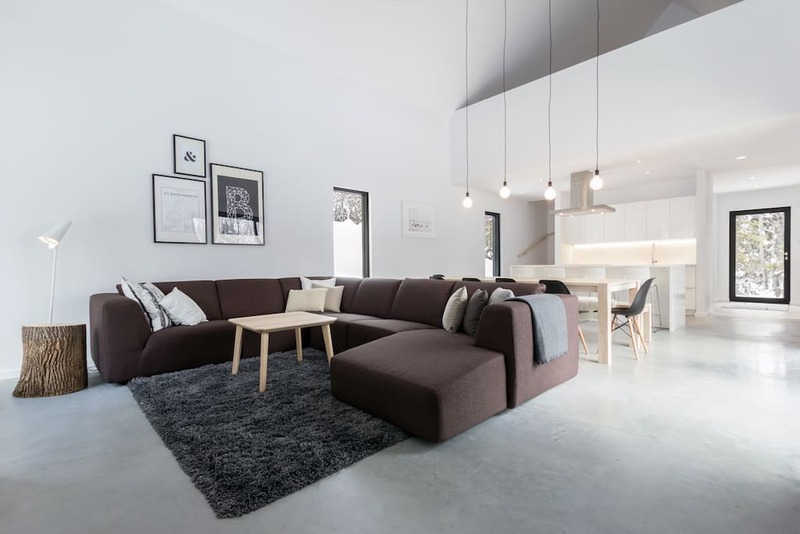 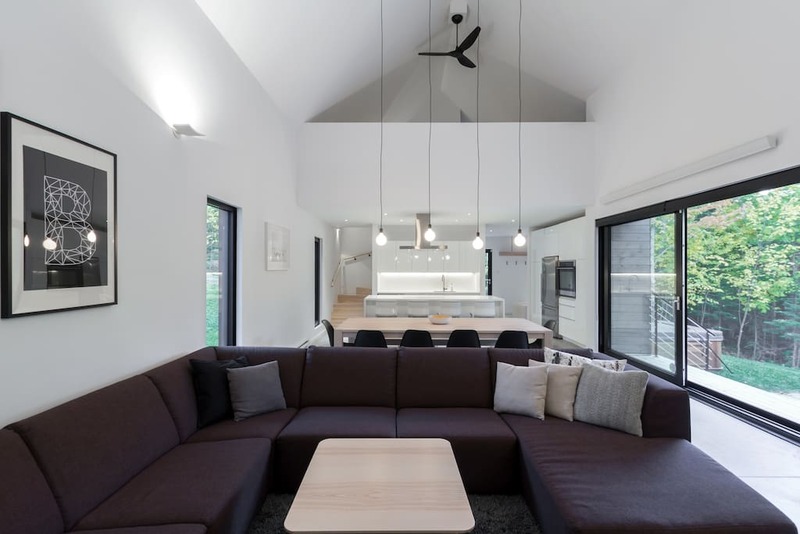 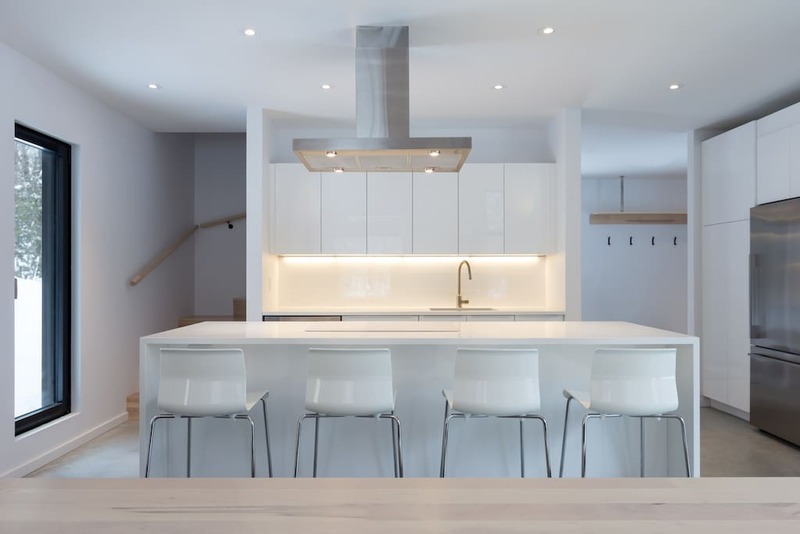 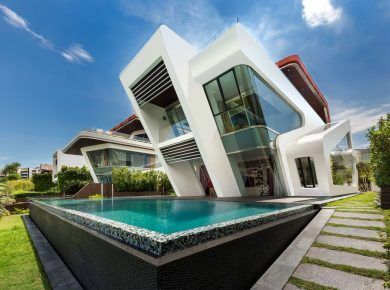 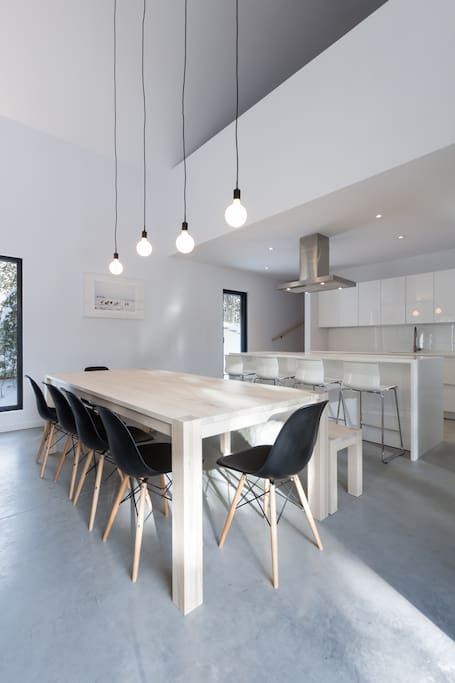 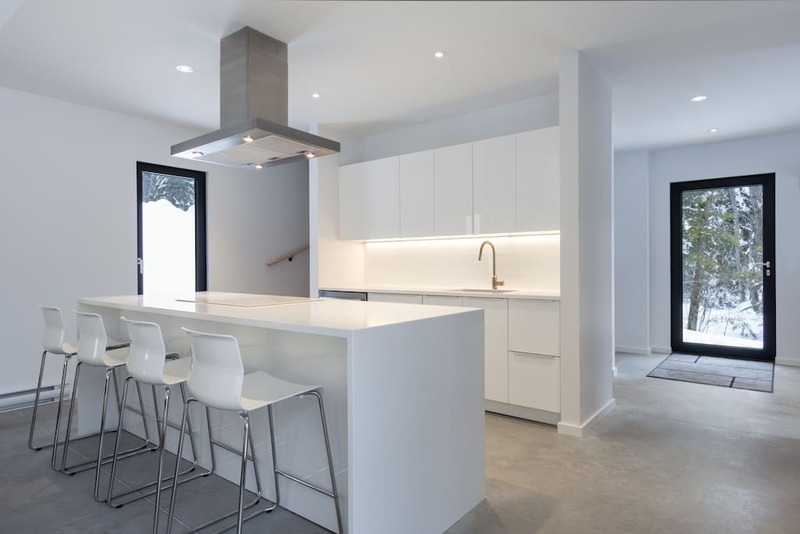 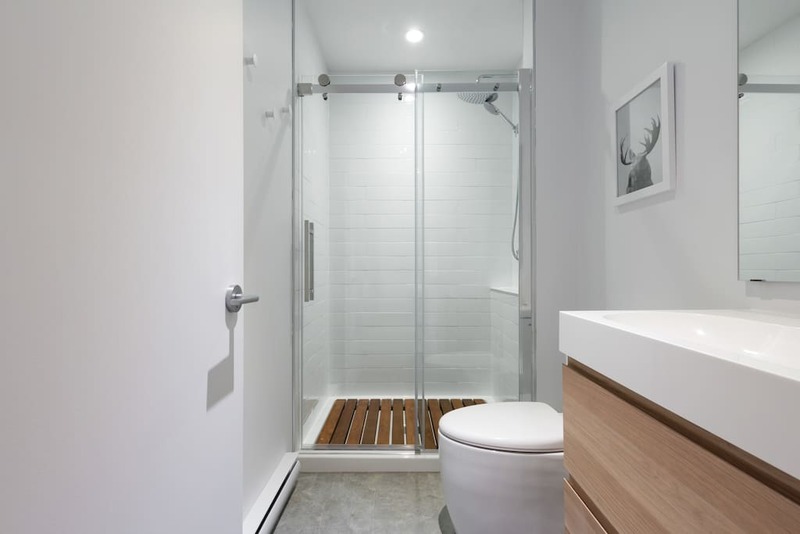 Developed by Cargo Architecture, the contemporary cottage is inspired by Scandinavian design, it features sleek white interiors, concrete floors, and pale wood tones. 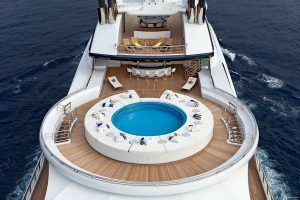 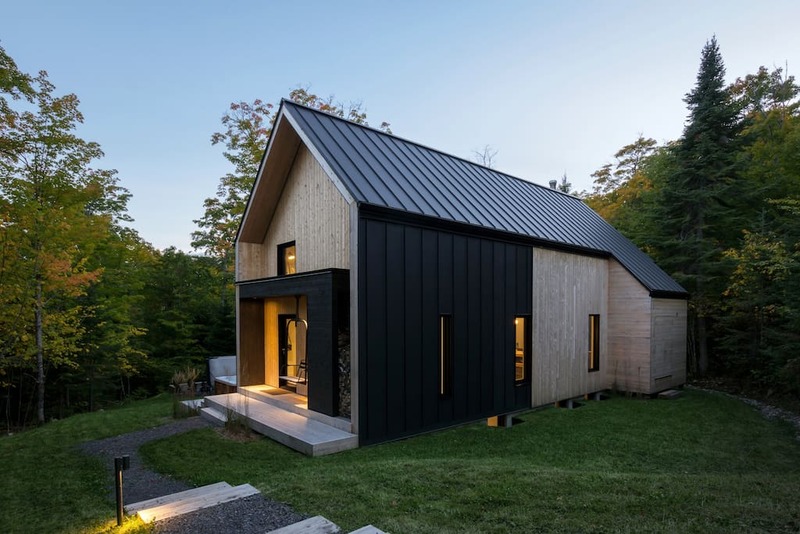 On the exterior, the black metal cladding also creates an impressive contrast that highlights the smooth matte finish of the steel and the natural grain of the Eastern white cedar. 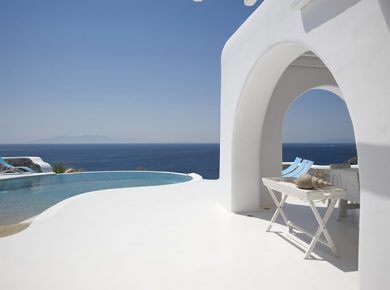 This vacation rental offers 4 bedrooms, including 7 beds and can accommodate up to 12 guests. 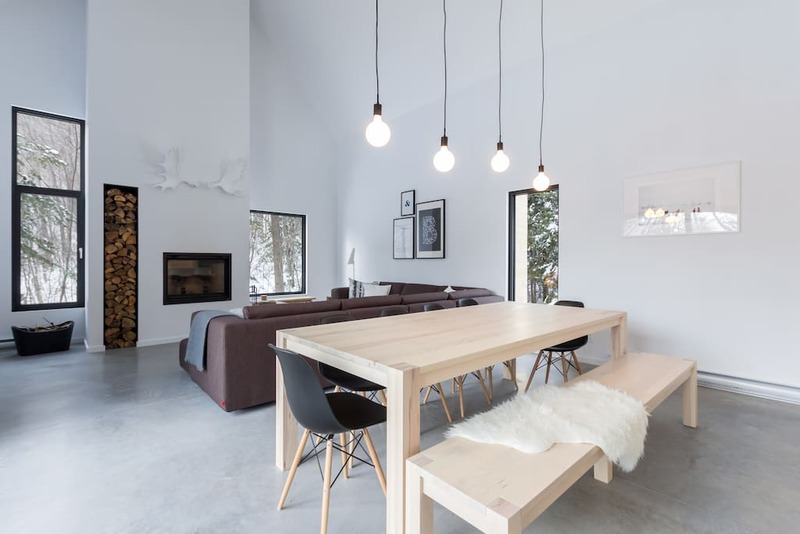 The perfect setting for a relaxing evening with friends and family after a hard day on the slopes.